Other Texas musicians had great success with this style, as well, including Corsicana-born Lefty Frizzell and Ray Price, who later changed his approach to the pop crooning favored by singers such as Tennessee's Eddy Arnold and fellow Texan Jim Reeves. Texas had a strong tradition of piano blues, too, hard-hitting music with strong elements of ragtime, the music popularized by composers such as Texarkana-born Scott Joplin. Texas piano blues developed in the rough lumber and turpentine camps of East Texas and in the honky-tonks of Dallas' Deep Ellum and Houston's Third, Fourth and Fifth Wards, in places with names like Mud Alley and The Vamp. The initial accordion-bajo lineup was complemented by the addition of the tololoche, or upright bass. This development is variously credited to Pedro Ayala and to San Antonio accordionist, songwriter and singer Santiago Jiménez Sr., known as "El Flaco" – the skinny one. Little Joe (Hernandez) y La Familia. — written for the Texas Almanac 1996–1997. 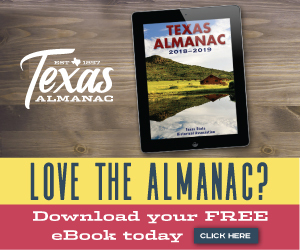 It has been expanded and updated for the Texas Almanac website. Jay Brakefield is co-author with Alan Govenar of Deep Ellum and Central Track: Where the Black and White Worlds of Dallas Converged (University of North Texas Press, 1998), a study of the Dallas neighborhood known for its contributions to blues and jazz. All Music Guide: The best CDs, albums & tapes, ed. by Michael Erlewine; Miller Freeman Books, San Francisco, 1994. Finding Her Voice: The Saga of Women in Country Music by Mary A. Burwack and Robert K. Oermann; Crown Publishers Inc., New York, 1993. Lydia Mendoza, A Family Autobiography, compiled and introduced by Chris Strachwitz, with James Nicolopulos; Arte Publico Press, Houston, 1993. Meeting the Blues by Alan Govenar; Taylor Publishing, Dallas, 1985. Milton Brown and the Founding of Western Swing by Cary Ginell; University of Illinois Press, Urbana, Chicago, London; 1994. Nothing But the Blues: the Music and the Musicians, edited by Lawrence Cohn; Abbeville Press, New York, London, Paris; 1993. San Antonio Rose: The Life and Music of Bob Wills by Charles R. Townsend; University of Illinois Press, Urbana, Chicago, London; 1976. Tell me a story, sing me a song: A Texas Chronicle by William A. Owens; University of Texas Press, Austin, 1983. The Texas-Mexican Conjunto: History of a Working Class Music by Manuel H. Peña; The University of Texas Press, Austin, 1985. Texas Rhythm, Texas Rhyme: A Pictorial History of Texas Music by Larry Willoughby; Texas Monthly Press, Austin, 1984.